Our staff and key contractors at recent annual planning meeting. I’m the person in the far left. 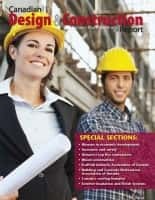 Virtually everything I’ve read — and experienced — about construction marketing focuses on relationships. Your business will survive and thrive if your and your employees connect so well with your current clients that they enthusiastically recommend and refer you to others. You don’t need an expensive marketing course to know the truth of this observation. The challenge, of course, is to figure out how to extend and expand the relationships systematically so that you can find more of the business you want, when you want it. Clearly, if you are relying on referrals and existing relationships, your business can operate with virtually no marketing budget and in fact you don’t need to market at all. But you are here. So this suggests that you don’t have enough of the right kind of business from simply passively receiving the repeat and referral inquiries and you sense you need to do something more. Here, I will speak against my own immediate self interest (and our business earns 99 per cent of its revenue by selling advertising.) Before you spend a cent on any form of external marketing, look closely at your existing client relationships and see how you can expand, enhance, and improve them. Your goal is not to force more sales out of your current clients; your objective is to see if you can capture the best qualities of your existing relationships and extend them. Now, I don’t think this can be done with a mechanized process, unless you have an overwhelming number of current clients. You can certainly structure group activities such as “thank you” events and meals (which can be great to cultivate referrals and new businesses) but some one-on-one time will also be productive. Remember as well, except in emergency situations, your relationships might start softly, slowly and almost invisibly. (And maybe totally invisibly.) You can’t see the potential client reading your ad or viewing your website for the first time. It helps to create a warm welcome. 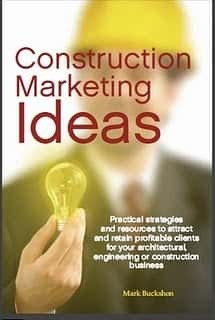 In yesterday’s posting, I mentioned the free weekly Construction Marketing Ideas newsletter and received several subscription requests. So I’ll do it again here. You will receive free marketing insights every Tuesday — when you click here and simply type in your email address.